About Goldklang Group CPAs, P.C. 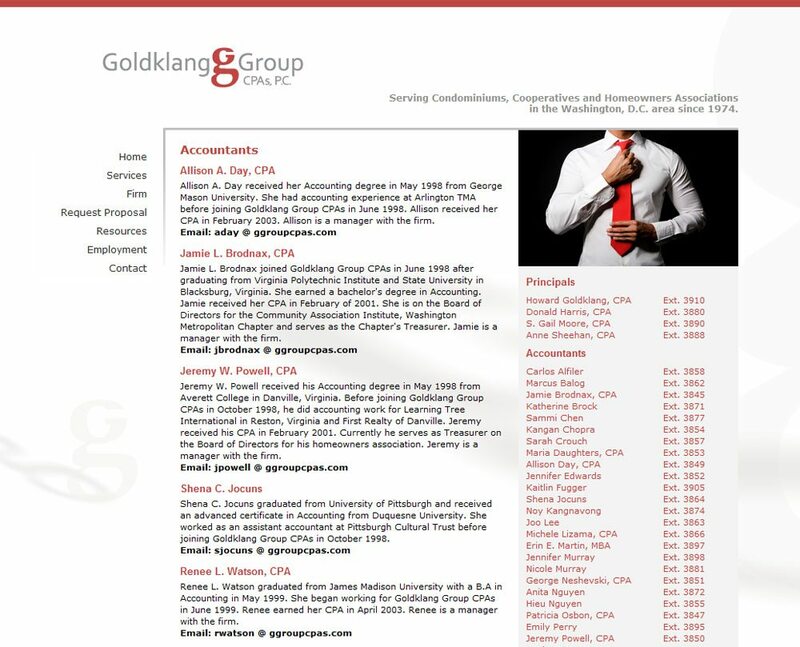 Goldklang Group CPAs, P.C. 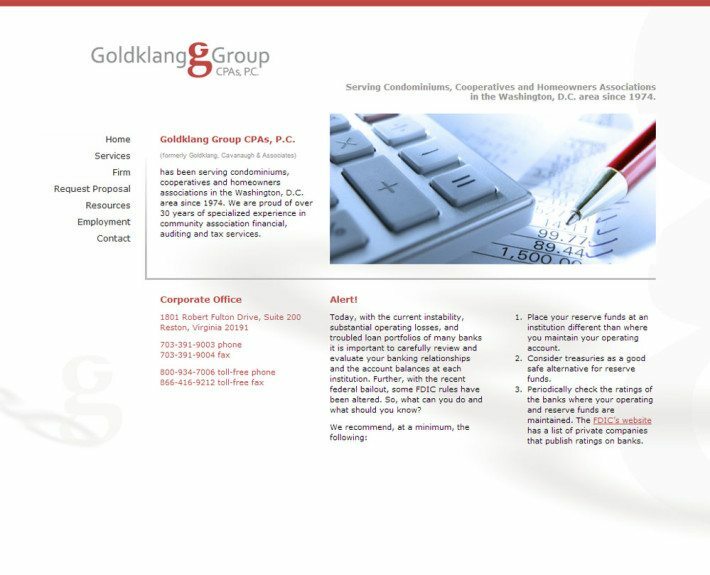 provides accounting and auditing services for common interest realty associations. Their services, however, often extend beyond the routine. 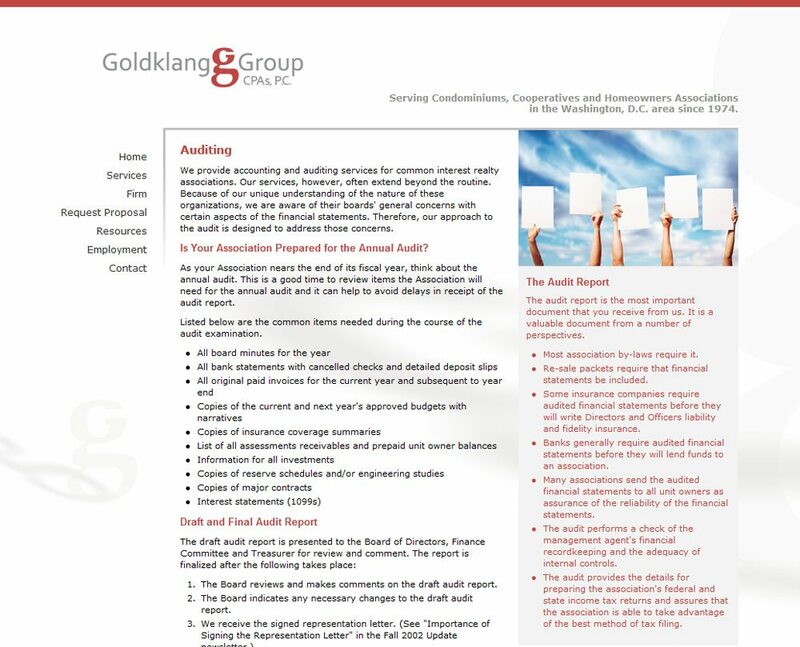 Because of their unique understanding of the nature of these organizations, they are aware of their boards’ general concerns with certain aspects of the financial statements. 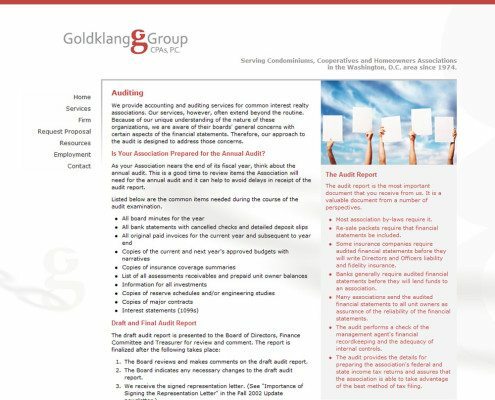 Therefore, their approach to the audit is designed to address those concerns. 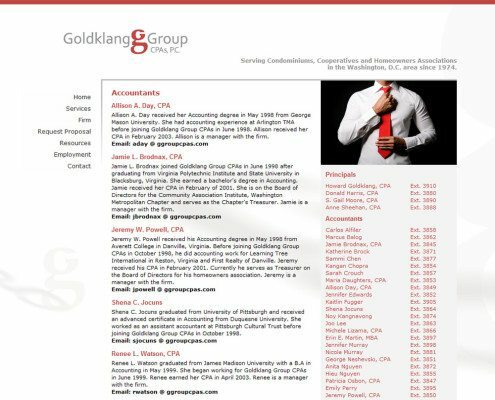 Goldklang Group CPAs, P.C. 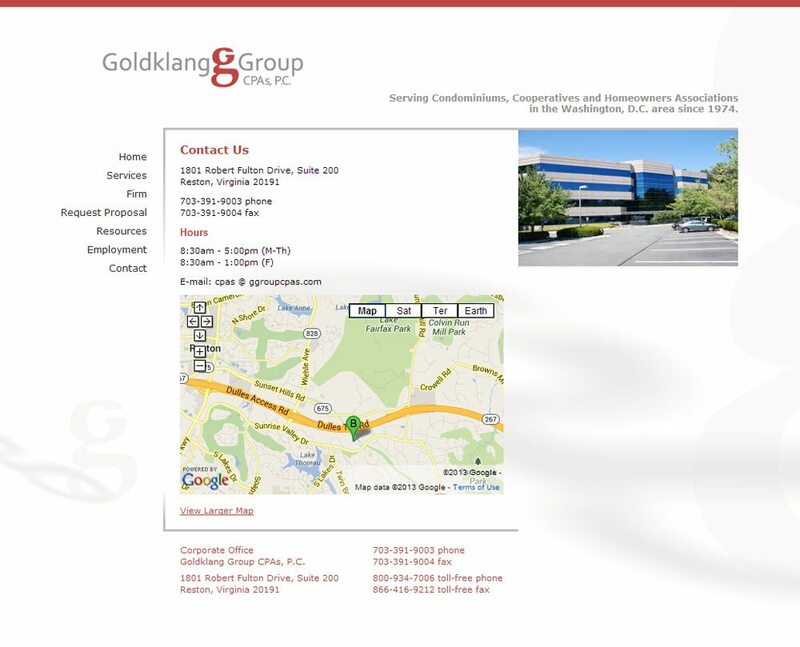 is located in Reston, Virginia.